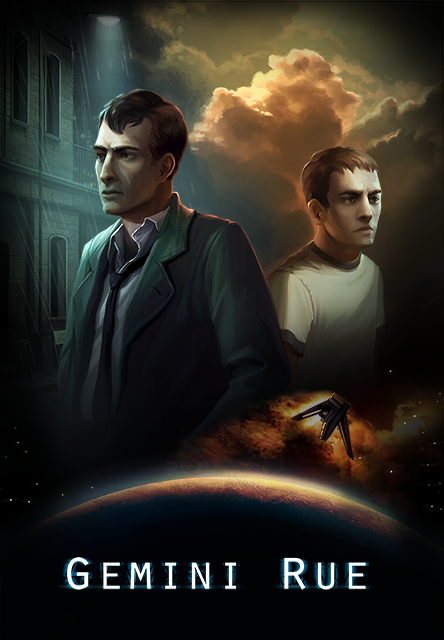 Gemini Rue is a point and click 2D adventure game designed by Joshua Nuernberger and published by Wadget Eye Games, created with Adventure Game Studio. It is based on the Boryokudan Rue, a sci-fi dystopian adventure that was a finalist in the 2010 Independent Games Festival, but with full voice overs, and added material. It was released for Windows on February 24, 2011 and on iOS on April 11, 2013. It was later released for Mac, Linux, and Android on December 19, 2013.